Could NFL Games Affect General Election Presidential Debate Ratings? Donald Trump isn’t happy that there are two general election presidential debates whose schedules clash with prime-time NFL games. It is difficult to determine whether enthusiasts of NFL sportsbook betting care enough about presidential debates to take note of this clash. But Donald Trump’s comments on the matter raise some questions about the impact the new NFL season might have on the upcoming presidential campaigns. The first debate between Trump and Clinton will happen on September 26th, competing against the New Orleans/Atlanta Falcons game on ESPN. The second debate on October 4th will clash with the New York Giants/Green Bay Packers game, broadcast on NBC. Trump expressed his irritation with this clash of schedules to ABC this week. He also said that the NFL had contacted him in a letter to express their displeasure at the conflict; though the NFL quickly disputed this claim, they admitted that they would have preferred to have the debates scheduled on different nights. The Bipartisan Commission on Presidential Debates set these dates last year and cannot change them now. They also explained that any alternative debts they have in mind would conflict with holidays and major sporting events. Corey Lewandowski, Trump’s former campaign manager, told CNN on Monday that he was confident in Trump’s ability to pressure the commission into rescheduling the debates. Some people might be wondering, though, whether there is any merit to Trump’s suggestions that the NFL games would somehow eat into the debate ratings. NFL telecasts are insanely popular. No one can dispute that fact. However, while league telecasts usually dominate lists of the most-watched TV shows, there are presidential debates that have effectively competed with prime-time NFL games. Of the seventeen presidential debates since 1992, three rank among the top ten in viewership. So clearly, there is notable interest in the presidential debates, though this interest seems to fluctuate. The question is how the interest in presidential debates compares with the love American fans have for Football. The interest in presidential debates spiked in 1992, 2004 and 2012. While the debates in 1992 and 2004 competed favorably with Monday Night Football, the fact that the NFL telecasts were on ABC rather than cable during those years means that there was stiffer competition that today. Monday Night Football had an estimated audience of 15.5 million people in 1992. That figure was 12.9 million last year. So everyone agrees that Monday Night Football isn’t as big a draw as it used to be, what with all the entertainment competing for the attention of fans today. More importantly, it is difficult to determine whether Monday Night Football has ever had any notable impact on debate ratings. Logically speaking, NFL games are unlikely to draw as much interest as general election presidential debates, primarily because NFL games appeal to a specific section of sports fans. There are instances of Football games losing viewers to vice presidential debates. The most watched Veep debate in American history was the bout between Sara Palin and Joe Biden in 2008, its viewership exceeding all the presidential debates of that year. No matter how you choose to interpret the figures, it is difficult to give merit to Trump’s claims about the NFL affecting the ratings of the upcoming general election presidential debates. 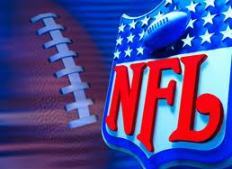 Posted in SPORTING NEWS Tags: Could NFL Games Affect General Election Presidential Debate Ratings?